Until it closed in July 2007 this was Indianapolis Coke, the Manufacturing Division of Citizens Gas. 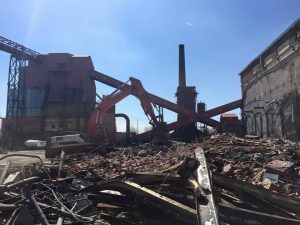 The plant produced coke, manufactured gas, and various other products for industrial use. 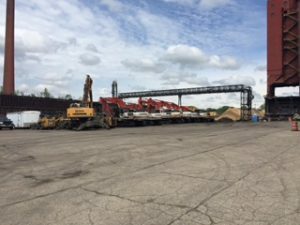 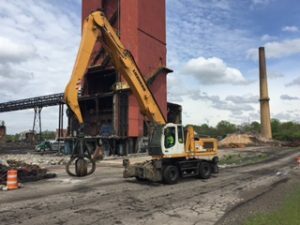 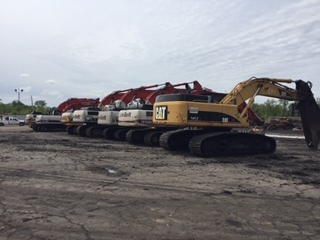 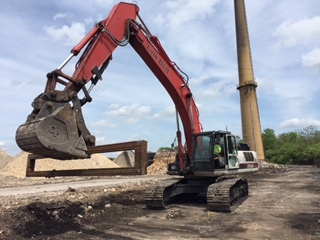 Denney Excavating has been performing demolition services at the plant located on Prospect Street in downtown Indianapolis since 2015. Current plans call for demolition work to continue through the year 2017.